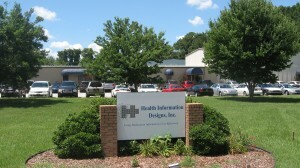 Health Information Design Inc. is a growing business and we are glad to assist in their expansion! Team Member Mark Saunders stated that it has been a real pleasure to work with this company and to be chosen to assist them. This entry was posted on Monday, June 28th, 2010 at 10:16 pm	and is filed under Featured, News, Office and tagged with Associates, Auburn, Construction, Marshall, Medical, Office. You can follow any responses to this entry through the RSS 2.0 feed.